The Senior Survey has been sent out to seniors in undergraduate degree programs who have applied or been approved for graduation in the Spring semester. 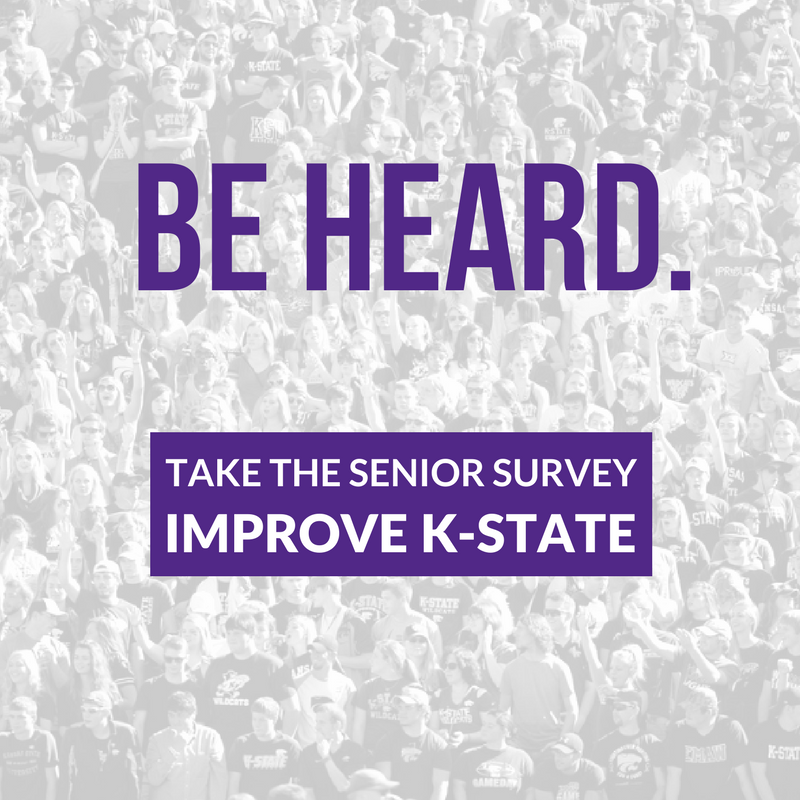 The survey is emailed directly to each senior’s @ksu.edu email address. Please encourage your students to take the survey before it closes at the end of the semester. Prizes are available for students who complete the survey, including Alumni Association photography books and $15 K-State Campus Store gift cards. Find more information about the Senior Survey here. The Athletic Training Program was recently selected by the Office of Assessment for the 2017 Excellence in Assessment Citation, which highlights exemplary assessment processes and practices at K-State. Specificity and rigor in critical thinking assessments. Multiple rounds of assessment that provide feedback for students and document increased levels of achievement. Assessment tasks that reflect authentic, real-world learning expectations. Clear benchmark levels of achievement that expose specific needs. The use of results to guide instructional enhancement. Well-designed assessment of academic and professional integrity. The students are taught to develop a deductive reasoning thought process. Athletic training students need to be able to assess a patient’s injury and from there, determine treatment methods. “That’s a sequential learning process that we go through and we’re able to assess each component as they go through it,” said Vardiman. Students in their final year of the program are assessed globally on their ability to evaluate and treat a patient from start to finish. Vardiman has found Canvas to be helpful for course instruction and hopes to have the entire faculty using it to link the assessment methods to grading mechanisms by the end of next year. Currently, Vardiman is working on continuing to build the athletic training program, by supporting the undergraduate degree while expanding to a graduate program. 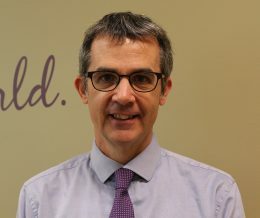 Vardiman has received multiple awards for his work in higher education. 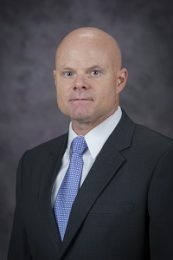 He was recently named the 2016 Kansas Athletic Trainer of the Year by the Kansas Athletic Trainers Society (KATS), and is a previous recipient of the National Athletic Trainers Association Athletic Training Service Award. Additionally, Vardiman served as the athletic trainer with the medical team supporting U.S. track and field athletes in Rio de Janeiro during the 2016 Olympics. Great ideas can often come from the strangest of situations. For Dr. Greg Eiselein, Donnelly Professor of English and Director of K-State First, the idea for a first-year experience program came about while working on the first task force for the K-State 8. One of the conclusions this task force made was that creation of a first-year experience program would be beneficial for new students. Several faculty members and administrators liked the concept and began meeting unofficially to discuss ideas and implementation. What resulted was K-State First, the University’s first-year experience program, which was launched six years ago and has had already some impressive results. Eiselein said that the four main areas of measurable success have been: higher retention rates from freshman to sophomore year, graduation rates and improved time to degree, higher overall GPA, and a greater level of student engagement. Most importantly, said Eiselein, students are excited about the courses they are taking and excited about college itself. This has led to high engagement rates, with 84 percent of students reporting having an “excellent teacher” and 68 percent having an “excellent course” in the fall of 2016. Departmental collaboration has been a key to the program’s success. Working with other departments to continue to engage first-year students in exciting courses is something many professors have been eager to assist with, said Eiselein. Just six years after its implementation, this great idea continues to grow, as K-State First engages first-year students and prepares them for a great college experience. 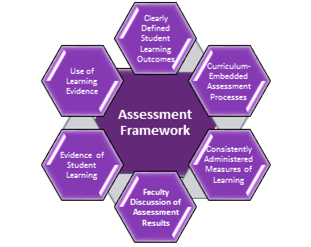 For more information on the assessment methods used for K-State First, please click here. The K-State Teaching & Learning Center has recently named 2017 as the Year of Critical Thinking. 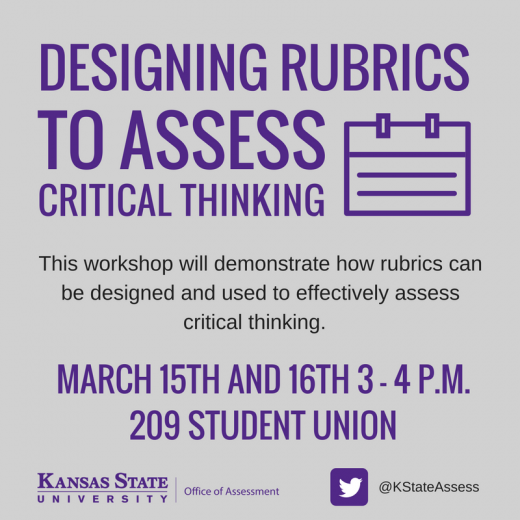 In keeping with these efforts, the Office of Assessment will host the second critical thinking event of March, “Designing Rubrics to Teach Critical Thinking.” This workshop will be led by the Office of Assessment’s Director, Fred Burrack and will take place on March 15th and 16th (repeat session) from 3-4 p.m. in Room 209 at the Union. Critical Thinking in the context of an assignment or within a discipline is an expectation in most courses and programs. 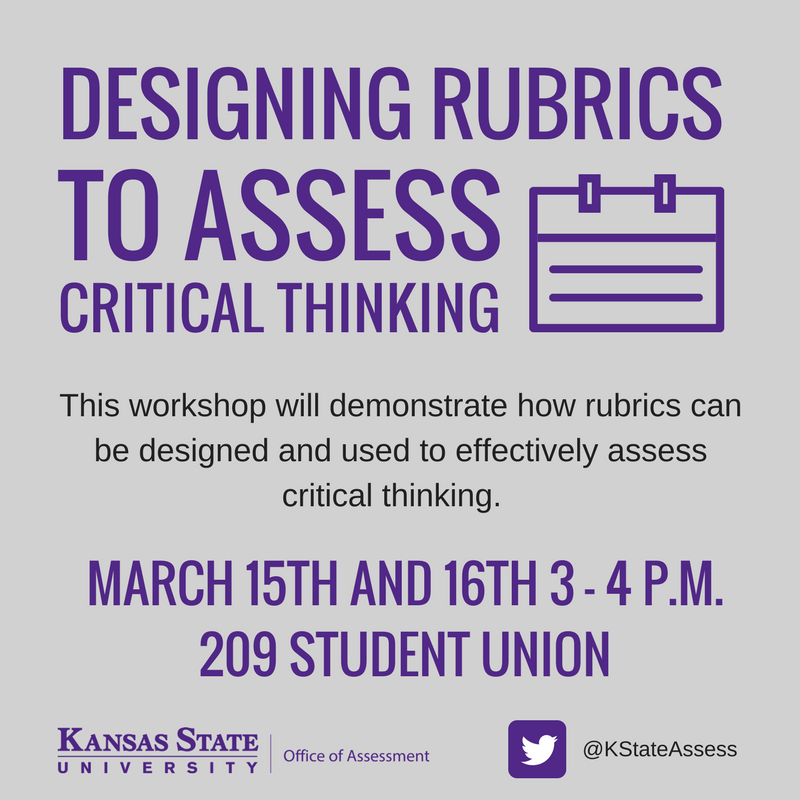 This session will explore how to assess student demonstrations of traits associated with critical thinking and provide examples of rubrics that can be adapted for a variety of assessment tasks. Participants will consider how students demonstrate critical thinking within their courses and programs and connect them to rubric design choices that enable authentic assessment of critical thinking. More information can be found at the Office of Assessment events page and Twitter. To become a part of the critical thinking work at K-State, please plan to attend this event and engage on social media with the hashtag #MarchTowardCriticalThinking. On February 16, the Office of Assessment sponsored “Designing Multiple Choice Assessments for Critical Thinking” workshop in Bluemont Hall. This event was led by Warren White, Professor of Special Education and Director of Assessment in the College of Education. This workshop was a part of the Year of Critical Thinking, an effort led by the Teaching and Learning Center. You can learn more about this endeavor here. You can view the workshop below. We hope you enjoy and will continue to be a part of the Year of Critical Thinking. Dr. Don Kurtz, associate professor of social work, is no stranger to the work of assessment. At the start of his day, he had already had a meeting with faculty on evaluative measures. The environment in the social work program is a collaborative one. “All of our professors are committed to (evaluation),” said Kurtz. Many in the program, including Kurtz, have taken on AAC&U VALUE Rubrics, available here. Kurtz has used the rubrics in a variety of ways: to monitor discussion boards, by adapting them to assess a written assignment, and to save time. Especially in large, online courses, Kurtz said the benefits of rubrics are extremely advantageous. K-State’s Division of Communications and Marketing has recently created an informational video of the Office of Assessment you can view here. This video contains faculty testimonies and the resources available at the Office of Assessment. Many will recognize the familiar faces on campus; professors from the College of Human Ecology, Journalism and Mass Communications, and K-State Polytechnic all make an appearance. Additionally, the video highlights the value of the assessment work that programs are currently doing. In benefiting the department, assessment work also brings K-State closer to the 2025 goal. 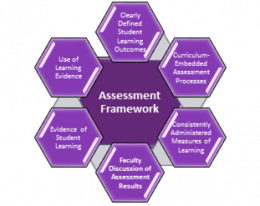 We hope you enjoy the video and will check out our Twitter and blog page for more examples of faculty work in assessment.